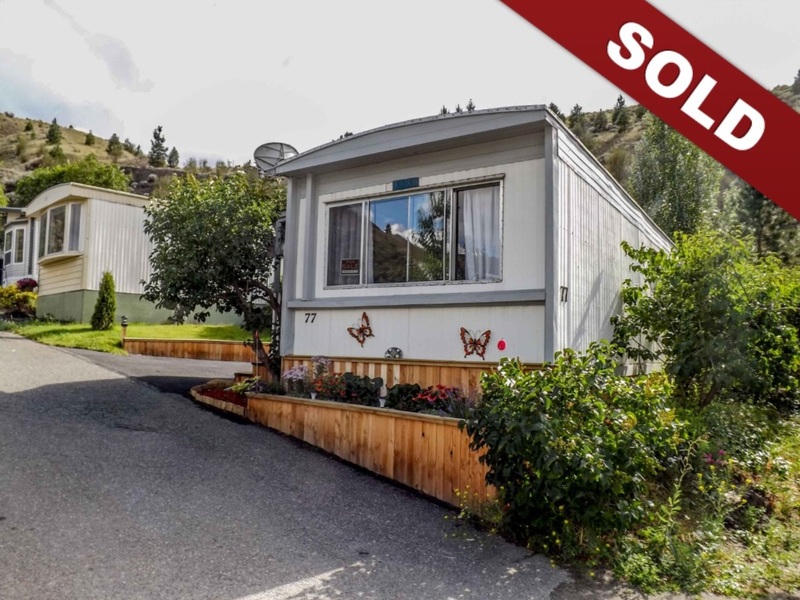 New Listing: 77-1175 Rose Hill Road, Valleyview, Kamloops, BC $39,900. Updated Hidden Valley home is in a quiet area of the park and backs onto a hillside for extra privacy. The home has had numerous updates inside and out over the past few months which include, new flooring, paint, hot water tank, new skirting, deck railings, and more. The entire landscaping has been transformed into a tranquil park like setting which provides beautiful flower beds, new sod, fencing, and 2 garden sheds. The work here has been done! The home provides a bright living and kitchen area with extra windows, oversized bath with dual vanity, stackable full size washer and dryer, master bedroom features a soaker tub with direct access to a private deck area to enjoy your morning coffee. This 1 bedroom, 1 bath home is move in ready and would make a great starter or retirement home. No rentals or site lease for financing, and pets must be approved by the park. Quick Possession possible and easy to show.